Writing the first-person account of Michael Cassidy, who becomes a Catholic school teacher in the aftermath of the tragic death of his boyfriend, Vee Hoffman balances beautifully lyrical prose with a sensual exploration of people and places. Ashebrook, its warm community and the house inherited from his aunt provide a comfortable haven for Michael, but it’s the friendship with neighbouring Butler family and their son Dominic that proves most rewarding. Teacher, friend, soon confidant, Michael understands Dominic’s secrets more than anyone in his sheltered Catholic community, but what else can he allow himself to hope for when love offers him a second chance? A story of love lost, love reborn, redemption and survival, Acclamation is, for the vast majority of readers, the first glimpse into Hoffman’s ability to present unique and intense character studies. With powerful yet flawed characters, it is likely that readers will be soon clamouring for the next instalment. 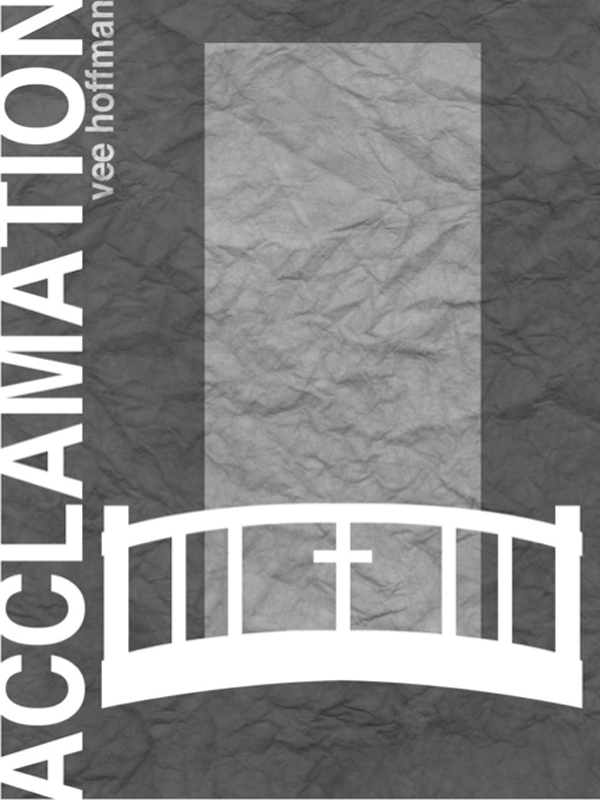 Vee Hoffman’s debut novel, Acclamation, is the first book in the Acclamation series published by Indie Inklings Ltd. The second, third and fourth titles, Reclamation, Intimation and Ultimation respectively, have an anticipated release date of winter, summer and fall of 2013. You can purchase the book online from Amazon at http://www.amazon.com/Acclamation-ebook/dp/B009NMYLGK.